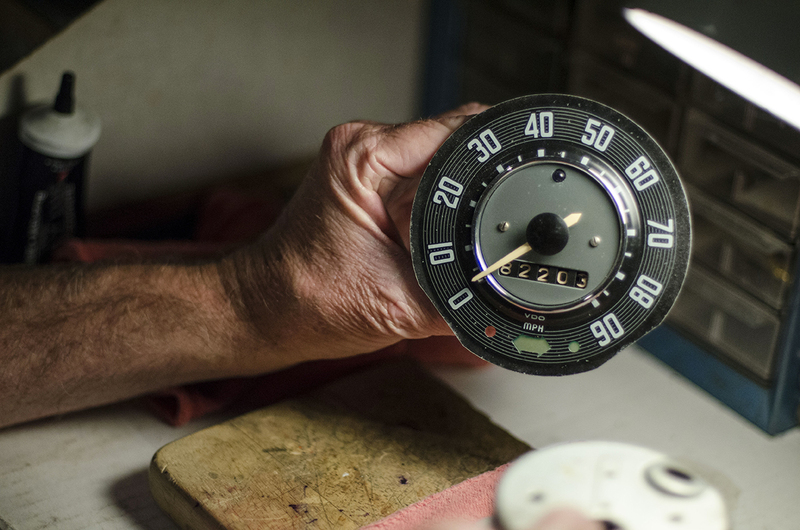 There comes a time when the original speedo in your vintage pride and joy needs to be restored. But, before bringing it back to its former glory, you actually need to remove it. No need to bite your nails and get anxious, it’s a simple task. Here’s how its done. Unscrew the speedometer cable knurled nut. Pull the cable out of the speedo back. Make a diagram of the wires–colors and placement. Just draw yourself the “circle of the back of the speedo”. Remove the wires–may need to use needle-nosed pliers to do this. Some of the bulbs holders may come out with the wires; that’s okay since you need to remove them anyway and check to be sure that they are good bulbs and bulb holders. Put a large towel around the hood spring and opening down into that deep recess that gobbles all screws, nuts and bolts–to keep the speedo screws from falling into it. Loosen the two screws at the speedo “ears”. Slightly turn the speedo to clear the screws (or remove the screws completely) and the speedo will come to you. You can have the restoration shop to turn the speedo to zero across the board or to leave the mileage. Purchase a new speedo seal (goes around the bezel to seal between the speedo and the dash when you replace the speedo. It buffers the metal-to-metal contact. Secure the speedo using the two screws. It is self-centering. Check all bulbs to be sure that they are viable. Reattach wires as per your diagram. Here’s a video that explains the task at hand. Submitted by ’67 enthusiast and follower of 1967beetle.com, Rees Klintworth. Thanks to Jay Salser for helping document this process. This was probably the first thing I did on my 1967 Bug! My speedometer would bounce wildly and at times freeze, or at a full stop read 10 MPH! I found a speedometer restorer, Overseas Speedometer, advertised in Hot VW and figured I should try to fix this! An email to them gave me a quote for rebuilding and I was ready to move forward! After talking to them on the phone about packing I was then ready to mail my speedometer to Overseas Speedometer in Austin, Texas to have it rebuilt! Then I realized I don’t know how to remove it! I talked with Jay and followed his instructions! Well that was easy and in the mail it went! When it returned I reinstalled it in the reverse and there I was with an accurate speedometer! In California we have radar speed advisory signs on some of our roads and I frequently check all my cars with them! Dead on! 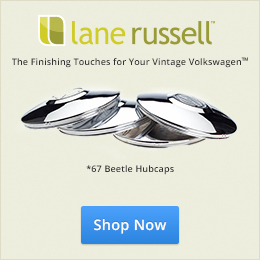 Thanks Jay, 1967Beetle.com, and Overseas Speedometer! Thanks! I’ve had to do it a few times, and I knew how uncertain I was at first, so I figured other people could use the guidance. I installed a new padded dash and ordered a new trim ring for the speedo. With the padded dish, the tabs do not pull it in enough to secure properly and do not provide good coverage. I have tried both the cheap and German (which seem to be the same). How do you deal with that? Let us research this… More soon. putting the towel over the black hole area is key when working on the back of the dash. The small items seem to magnet towards that area. I was able to fish some items from the 60’s and 70’s out of there when I restored it. I bet there are some great finds in that area.